Swarm Blog: Swarm Shirts Are Here! 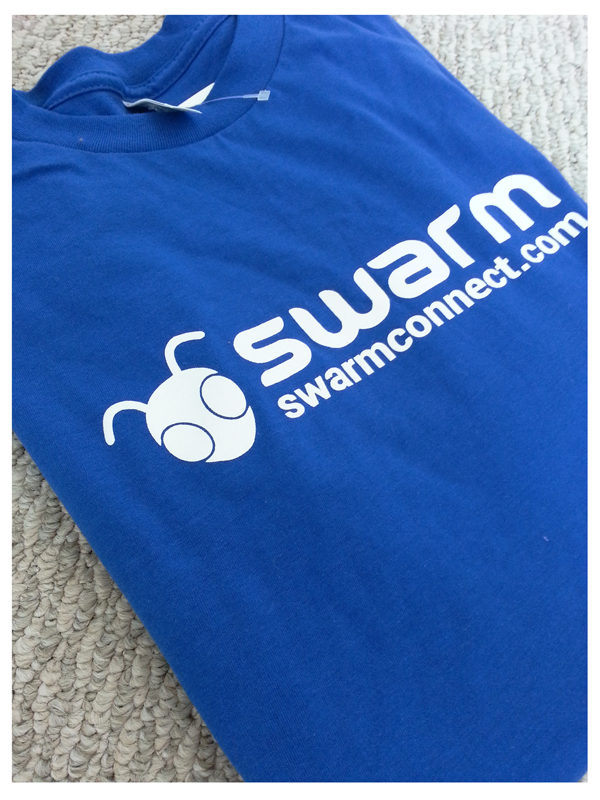 We also received our first shipment of Swarm t-shirts! We started with a small batch to test the softness (no one should have to wear a scratchy shirt!) and we were very pleased with the turnout. Thanks CustomInk, we’ll certainly be ordering more in the future. We don’t have a system in place to sell the shirts just yet, but if you are interested in one (S,M,L,XL) send an email to our designer and she’ll get you on a preorder list!